Taggies has gone grey with this gender neutral theme. 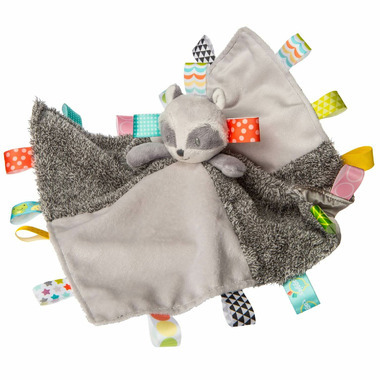 Parents and babies will adore Harley Raccoon's colourful Taggies ribbons and adorable expression. Predicted to be a top-seller, just like our long-lasting Buddy Dog. This is the first time grey has been used in combination with the colourful Taggies tags.